As first time buyers and being in the military, We had no idea what we were doing! We had no knowledge of any of the real estate lingo or processes. Jasmine did a wonderful job giving us all the required knowledge we needed to understand how everything worked. We live very far away and were not able to come visit the area and see the houses we were interested in. But with Jasmines determination and devotion to quality help, she went way out of her way and actually gave us virtual video tours of the properties! She ensured us on all the details we needed. Even if the details were not so pleasant. The greatest trait about Jasmine is that she will not lie to you about a property. She will tell you exactly why or why not the property was right for my family. We found the perfect home and we can not wait to move in! Thank you Jasmine!! Jasmine's expertise with the foreclosure process helped save me from buying a house that was going to turn into a money pit. She was so knowledgable about the pitfalls of buying a foreclosure and was also able to recommend excellent professionals to help with the inspections etc. As it turned out, I did not buy the foreclosed house I put an offer on because of the problems it had, but I look forward to working with her to purchase another home. I was an out of state buyer and could not be in the area to purchase the property. Jasmine went out of her way to ensure I was comfortable and how the most knowledge on the property as possible. She was really easy to communicate with and never gave the impression she need the sale. She always seemed to be looking out for my best interest and representing me. Even if that ment I was going to buy a property. Very professional and not your typical agent that just wants to make the most off of her client. I give my highest endorsement. After 25 years of moving with the Air Force, my husband and I dreamed of having a small farm where we could create both a home and homestead complete with animals, a large garden, and green space. However, we also both need to work, so access to nearby urban centers and reasonable commute times was also important. This was a tall order, but Jasmine took it all in stride. Initially, we provided her with a list of properties we had found online. She set up showings for us at all six of them in a single day and listened carefully as we toured them and described what we liked about each one and where some of them failed to meet our needs. Then in the ensuing weeks, Jasmine combed the MLS and sent us listings she thought we might like to see. Finally, after a couple of months searching, we found the perfect property and put in an offer, which was immediately accepted. Jasmine was extremely patient with our unique situation and demonstrated great local knowledge and professional expertise. She offered appropriate advice, especially when asked, but did not push her own preferences on us. We so appreciated her ability to navigate through the issues associated with buying a rural property. In the end, we found our dream homestead and breezed through the contract, inspection, and closing process - very much thanks to Jasmine. We would (and actually have!) recommend her to anyone looking to buy or sell in this area. Jasmine is a really great agent. I normally despise sales people but she was different. She cared about doing the right thing and making sure my family was happy and comfortable with the stressful decisions we were making. I highly recommend contacting Jasmine if you need good, sound, realistic advice with selling your house. She will walk you through each step and explain everything in detail and she doesn't make you feel stupid for asking questions all the time. She is easy to communicate with, and my family and I, including the dogs, felt very comfortable around her. I will recommend her to anyone I know who wants to buy or sell a house and I will come back to her when I am ready to buy and sell again. From first contact Jasmine was extremely professional, knowledgeable and responsive to our particular needs. Jasmine showed a fine sensitivity to our needs. She determined viable options for us and patiently walked us through the processes associated with a series of offers. We experienced unforseen difficulties and delays - none of which were due to Jasmine. She is the full package: affable, knowledgeable, prudent, responsive and assiduous. She gave us sage advice when we asked, and always made thoughtful and prudent decisions. We closed on our new home and we were very pleased with Jasmine's services. The seller made the process incredibly difficult but Jasmine doggedly pursued our interests and we were overjoyed with the deal we ultimately struck. She truly went above and beyond. Jasmine did a wonderful job and was a joy to work with. She is very knowledgeable and extremely efficient. She listed my house and it sold and closed within a month. She takes a personal interest in her clients and works as hard as she can to represent them. I had contacted her based on the excellent reviews at this site and I am more than happy to be adding another one. I'd been recommended to Jasmine a time or two but wasn't sure on selling my home. When I finally did make the decision to sell I went to Jasmine. Not only was she knowledgeable on all aspects of selling, maintaining, and contracting my home but she was also readily available when I had questions or was not sure on how to go about something during the process of my sale. The best part is, My home didn't take long to sell either. Jasmine is polite, professional, and has the spirit of ensuring you get the best deal and make he right decision during real estate. I would recommend her to anyone in the area she is working in because she won't steer you wrong. Jasmine is a wonderful realtor. Even in this slow market Jasmine was able to list and have our home under contract in two weeks. This is due to her knowledge of the real estate market,proper pricing and excellent negotiating skills. Jasmine's expertise meant that she was able to recommend contractors to help us with repairs and various inspections which was a great help since we were no longer living in the house. Jasmine is also quick to respond to respond to any questions or concerns we had. We are definitely recommending Jasmine to our friends who need a realtor. She's not only a extremely professional in her work but she's also friendly and a joy to work with. We chose Jasmine due to her Military move Expertise. We bought our first home thinking I would be retiring from the Army after over 20 years only to be placed on orders and moved out of state. Jasmine was our choice when we realized we would ahve to sell our home as Short Sale. She thoroughly explained the process for us and got the process moving. She has kept us well informed, much more informed than the mortgage company, regarding where we were at in regards to closing on the home and has shared about the Gloucester area. We look forward to returning back to Gloucester in a few years after I am retired and having her assist us in buying our last home. We contacted Jasmine while in another country and she was fantastic!!! She listened to our situation and was very knowledgable about our concerns, needs and wants. She is a great person to have on your side when looking for real estate. Jasmine will go the extra distance to accommodate your needs. We highly recommend her to anyone in need of a real estate agent!!! Jasmine has been helping us purchase a home with a VA loan. It was important to us to have someone who was familiar with the process, and could help us find our dream home. She is very friendly, and gives it to you straight- she won't try to take you over your price range or sell you some story. Definetly would recommend her, she has been great! My husband and I are first time home buyers, and Jamsine was very helpful - she didn't try to take us over our price limit, and she really listened to our needs. She did her research, and only showed us houses that fit our perameters. Loved that she was knowledgeable about VA loans and foreclosures, and was super nice about all the questions we had. Definitely will reccommend her to everyone I know! From the get go we were impressed with her motivation, knowlege and her wanting to actually help us find the perfect home for us. After showing us about 20 homes around gloucester County...We found our home and she made sure we got the best deal posible including leading us to the right folks to do our closing. We have never been so impressed by someones work eithics like Jasmine. Jasmine is a wonderful realtor. She did a great job selling our home. We are a coast guard family, and we have told many of our friends transferring to the area to call Jasmine. You will be very pleased if you use Jasmine as your realtor. The biggest thing I appreciated was her honesty. She would give honest opinions on the condition of the houses and whether the asking price was reasonable or not. She never tried to sway my opinion of a house one way or the other and always reminded me that if I wanted to look at a house again to just let her know. We had a great experience with Jasmine she gave us so much local info and kept in contact with houses, she was always willing to meet us when it was convenient for us. She helped us find a home and am so excited to have her come see the house when we move in. We have already referred someone to her that is just as pleased with her service so far as well. You will not be let down by her at all! Thanks Jasmine in advance! Jasmine is very personable, and a wealth of knowledge on the local area. She listened to the things we were looking for in a property and showed us several homes in the areas we wereinterested. She was extremely helpful with the buying and negotiating process as we are first time buyers. Jasmine went above and beyond when helping us find a new home. I initially contacted her about a house she had listed and she got back to me within minutes (on a Sunday morning, no less!). While we didn't end up purchasing that initial home, Jasmine showed us probably 20 different places over the next month and a half, never wasting our time, always showing us what was in our price range and having the land and features we were looking for. She knows the area very well, and was able to help us find the perfect home! I am so grateful I contacted her! Jasmine is very easy to work with. She walked me and my husband through our first home buying experience every step of the way. She showed us countless homes. Now that we have our first home we would use her again in a heartbeat! Jasmine was extremely helpful in finding the perfect home on a very tight schedule. As first time home buyers, we were very naive about the process overall, and the details along the way. She was very kind and patient as she lead us throught the process. Everyone else we encountered along the way commented on how fortunate we were to have Jasmine's assistance. We are very happy in our new home, and owe Jasmine a lot for the overall success of our move. jasmine was great! she found what we were looking for, was always on top of everything that needed to be done, and was willing to work with us to meet and sign paperwork. Jasmine has been very helpful in providing information on properties that fit our criteria. In spite of the fact that out relocation may be as much as a year away, she has been attentive to us and has answered many questions. We feel confident that she will work hard at finding what we want and will do quality research. She responds quickly. Jasmine has been an absolute blessing to my family. She has been working with us for almost a year now. We have looked at numerous homes in all the surrounding counties. She's been with us through thick and thin! She knows her stuff and she gets the job done! She is an absolutely wonderful real estate agent. I highly recommend her. Jasmine showed us the house we purchased. We told her what we were looking for and she found it. We were new to the area and Jasmine found us the house based off our needs now and in the future. She was very helpful and willing to work with us on every issue, including outside factors that were out of our control. With that Jasmine had to work very hard to get us what we wanted at closing and we could not thank her enough. 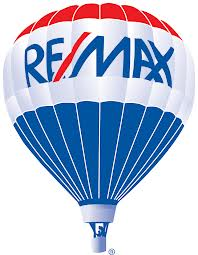 We would recommend her to any one that is looking to buy or sell property. Jasmine helped us find, negotiate and close on our home. She is very kind, efficient and professional. She stayed in contact with me every step of the way. 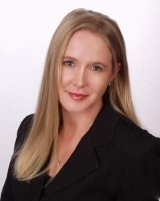 She is experienced in working with Veterans Loans, and I am sure with many other loan types. She dealt with our lender without losing patience. To me, that means a lot. A personal note: I enjoyed working with Jasmine. If we ever decide to sell or purchase something else, she will be the first person I call. Working with Jasmine has been a real pleasure. She showed us several properties in the Gloucester area over a period of several weeks and helped us find something that suits our needs; a multi-family house in a first-home price range. Additionally, she has kept us well informed of what we should expect throughout the financial process, demonstrating extensive knowledge from offer to closing. Most importantly, Jasmine has been honest, kind, and direct, and has devoted the right kind of attention to a personal and intimate milestone for my family. If you are looking for properties in the Gloucester area, she is the right person to contact. I work with a whole lot of Realtors on a daily basis. Jasmine is one of the best I work with. Her passion for every person to find the right house is second to none. Anyone that talks to her will find out immediately what I am saying. Jasmine dealt with all of my crazy emails with such attention to detail. She was very responsive to all of my questions, and went above and beyond. She gets you in to see houses fast and gets all paperwork done very efficiently. Use her if you want to find a house! Jasmine is an excellent Realtor. She has worked with us for several months and has been extremely flexible and helpful. We have changed our minds several times about what we were looking for and Jasmine is always ready to assist us in whatever direction we decide to go. We haven't found our dream home yet, but we will have Jasmine's help to get us there. We were moving from out of state and could not always be in the area. Jasmine was extremely accomodating in assisting us with finding and purchasing our home. I would highly reccomend her.